A report on the water resources available in the Middle Illinois River water supply planning region is now available (Kelly et al. ISWS Contract Report 2018-02). The Middle Illinois region includes seven counties – LaSalle, Livingston, Marshall, Peoria, Putnam, Stark, and Woodford – and several major cities including Peoria, LaSalle-Peru, Ottawa Pontiac, and Streator. The report is the product of water supply planning research carried out by the Illinois State Water and Geological Surveys in the Prairie Research Institute with funding from the Illinois Department of Natural Resources. The results of the study are generally positive for the region, with abundant water available for most needs. Most of the region uses groundwater for their drinking water, as well as industrial and commercial needs. There are two primary aquifers, shallow sands and gravels and deep sandstones. There is abundant water in the sand and gravel aquifers, although their distribution is variable across the region and they can be vulnerable to contamination from surface activities. The sandstone aquifers have enough water to satisfy expected demands out to 2060, although there are a couple of areas that bear watching. The sandstone aquifers also tend to have high levels of naturally occurring radium that must be treated. 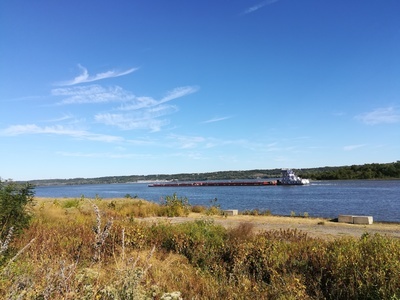 The Vermilion River and middle section of the Illinois River run through the region, and provide drinking water to several communities and cooling water for power generation and industrial needs. Pontiac, on the Vermilion, was determined to have an at-risk public supply system, mainly due to water quality issues (i.e., occasionally elevated nitrate levels).